Looks cool, why a Zebra though just out of curiosity? 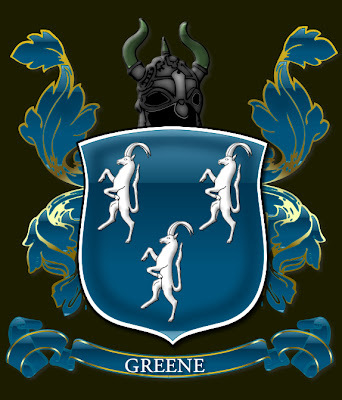 The farthest I can trace my ancestry back to is the battle of Hastings, my ancestor “Stirgud the Stout” who was a Viking rode a Zebra in to battle and was immortalised in a French poem buy Waste. I was going to put a hang man in as well, because my grate grate granddad was the last hang man in the UK. Shouldn't you have some mushy peas in there? (Maybe a pea green background.) And salt. 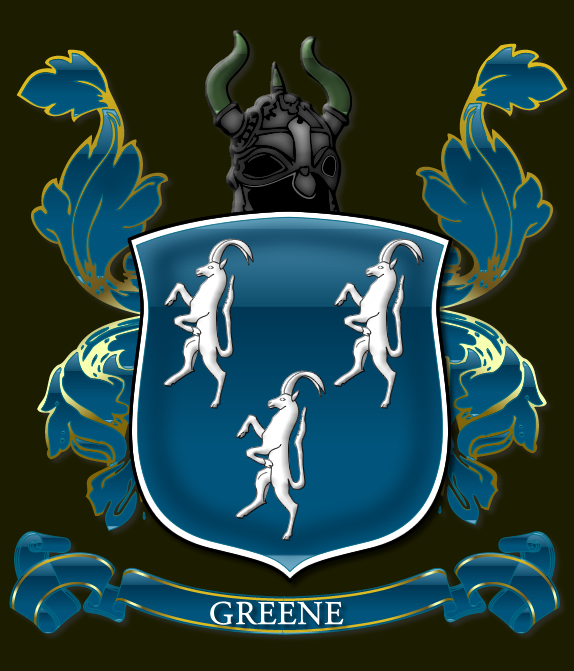 Sanchez, it's Greene not green XD, but family crests are set out. Looks good! I wish I was good at graphic design haha. @ Kevin : I was thinking of Morton's processed peas. It looks like the peas are Batchellor's or Cross & Blackwell now. 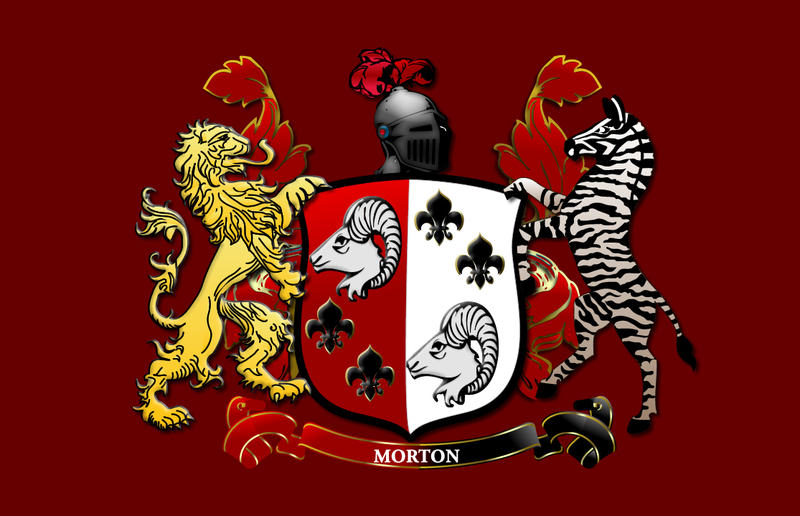 The Morton salt logo would make a nice heraldic feature. @ sanchez yes that would would make a nice feature. These look really good. How did you make them? @Ryan its the 3 p's penchants practice and photo shop. XD would you like one?